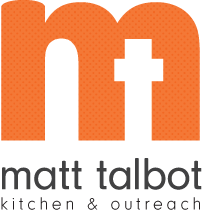 All cooking classes are led by Matt Talbot Nutrition Coordinator, Janet Buck. To sign up for any of these classes, please contact Janet at 402-477-4116 or janet.buck@mtko.org. Kids Garden & CAFE (Children and Food Education) classes are held year round for elementary aged children. In these classes children learn about good nutrition and health, as well as gardening. During the school year, Kids Garden & CAFE classes are held at Matt Talbot during Lincoln Public School breaks from 1 - 2 pm. In addition, monthly classes are held at Sacred Heart School and other community locations. The classes promote good health and nutrition, as well as teaching some basic cooking skills. The participants are always proud of their creations and often try fruits and vegetables they may never have eaten previously. Four-week long adult cooking classes are held on Wednesday afternoons in the Matt Talbot dining room and kitchen. Participants prepare a complete meal containing all food groups at each class. Through these classes, guests participants learn how to use healthy produce from Hope Garden to make nutritious, tasty, and low-cost dishes. They love the delicious results and are excited to learn new skills and how to use some common and not-so-common vegetables and herbs.